The Shawnee State Bears softball team is 10-1 after their spring break trip to Myrtle Beach, South Carolina. North Myrtle Beach, SC – The Shawnee State Bears finish off their run in the Myrtle Beach Classic with a win and leave 10-1 after a win over Iowa Wesleyan 6-1. McKenzie Whittaker (SR/McDermott, Ohio) would go onto pitch the final game in Myrtle Beach against Iowa Wesleyan College on Friday in a victorious effort. Whittaker allowed only one run on three hits with one strikeout. For the Bears, they ended up scoring three runs in the third inning. Victoria Bevington (JR/London, Ohio) kicked things off with a single and later scored, Megan Shupert-Martin (SR/West Portsmouth, Ohio) would follow that up by reaching off an error and scoring as well and Stacy Trenholm (SO/Lancaster, Ohio) would single and eventually score. In the fourth, Bevington singled again and scored once again for the Bears. The fifth inning would extend the run differential for the Bears as Trenholm and Marisa Brown (SR/Liberty Township, Ohio) would hit back-to-back singles and scored off sacrifices by Haley Rawlins (JR/South Point, Ohio) and Bailey Kemp (SO/Circleville, Ohio). The Bears would go onto closing out the game and ending their Myrtle Beach Classic run extending their record to 10-1. 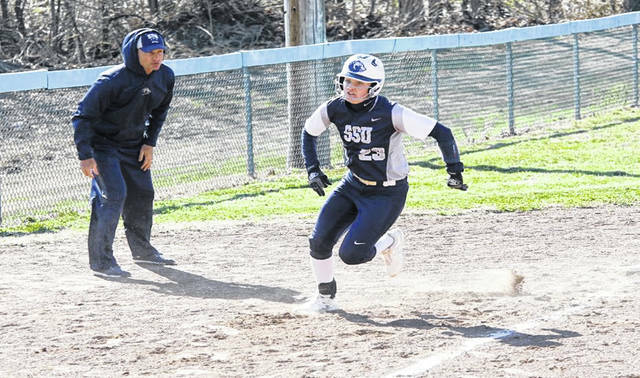 The Shawnee State Bears make their home debut on Tuesday, March 19th, against Ohio Christian University at 3:00 PM, ET, in a double header.